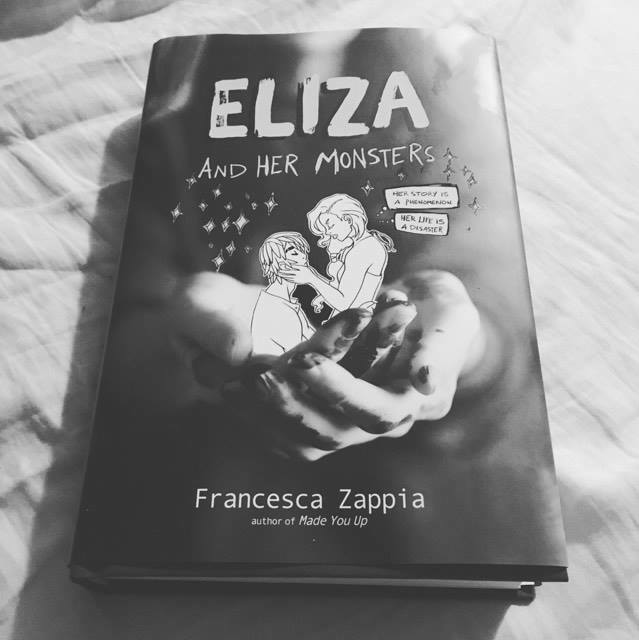 I loved reading Eliza and her monsters. The story was refreshing and it was really new to see drawings of the author in this book. I especially loved the relationship between Eliza and Wallace. They are so cute together! I was wishing the best for them when I was devouring this book. But I couldn't stop myself to be frustrated when Wallace discovered that she was Lady Constellation. He could've been happy to meet his favorite author, but no, he acted like a jerk and stopped talking to her. It was pretty long before we arrived to this part of the story and I was sure it would've happen sooner because they talk a lot about it in the synopsis. But even tho it's far in the book, we arrive pretty fast at that part, because the book is really fun to read and isn't difficult to read. Another reason why I loved this book is because I felt a bound with the character of Eliza. She have anxiety and doesn't have a big relation with her parents.